Among the Lost by Seth Steinzor for review from the poet, a book that will be on tour with Poetic Book Tours in January 2017. Among the Lost, set in the modern American rust belt, is a meditation drawn from Dante s Purgatorio. To Dante, Purgatory was the mountain where souls not damned went after death to cleanse themselves of sin in preparation for entering Paradise. What, Steinzor asks, are we preparing ourselves for, having lost the fear of hell and the hope of heaven, in the course of our daily urban existence? And whatever that is, how do we go about preparing for it? … from inviting over friends for an impromptu brunch; to wowing guests with delicious new recipes; to making sure her ever-on-the-move family makes time to sit down together. 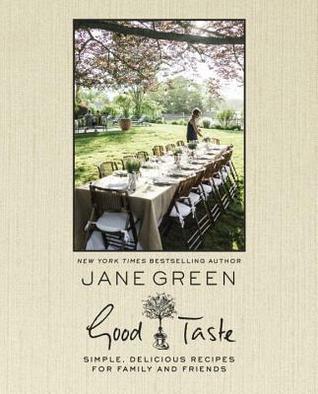 For Jane, food is enjoyable because of the people surrounding it and the pleasures of hosting and nourishing those she cares about, body and soul. 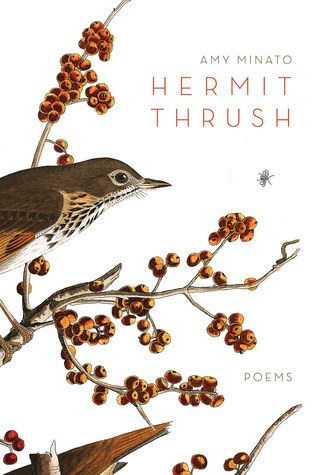 Hermit Thrush by Amy Minato for review from Inkwater Press. The Annotated Pride and Prejudice by Jane Austen and David M. Shapard, which I purchased for research. This Revised and Expanded Edition contains hundreds of new notes and illustrations. Rules of etiquette, class differences, the position of women, legal and economic realities, leisure activities, and more. Parallels between the novel and Austen’s experience are revealed, along with writings that illuminate her beliefs and opinions. Archaic words, words still in use whose meanings have changed, and obscure passages are explained. 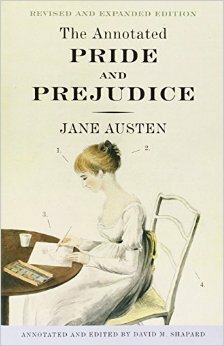 Insightful notes highlight Austen’s artistry and point out the subtle ways she develops her characters and themes. of places and objects mentioned in the novel. Of course, one can enjoy the novel “without “knowing the precise definition of a gentleman, or what it signifies that a character drives a coach rather than a hack chaise, or the rules governing social interaction at a ball, but readers of “The Annotated Pride and Prejudice “will find that these kinds of details add immeasurably to understanding and enjoying the intricate psychological interplay of Austen’s immortal characters. fright so that they never quite touched me. Someone I had trusted had led me there. seen, and I could go no farther. awareness of this dismal dawn. cinched about the waist with a cord. converged upon a small and beautiful mouth. combined: alertly pensive, missing nothing. They were what held me. I stepped forward. can’t quote Dante than one who can. Well! flaring, he whirled and faced the hidden beasts. find it here,” he said, glancing back. two years before?” My face froze. He nodded. that never came because you were afraid? My Seth, whom I knew as a poet and one of love’s authors. 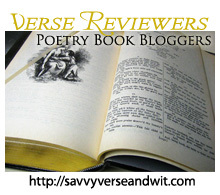 Welcome to the 122nd Virtual Poetry Circle! After reading To Join the Lost by Seth Steinzor (my review), I got to thinking about why anyone would “dare” take on Dante and modernize it. Given the daunting task ahead of Seth when he undertook the project, its no wonder that there was a very organic germination of ideas as he wrote. Although some of the epic poem worked better for me as a reader than other places (which is pretty typical with larger poetry works to begin with), it is a solid first book with a great deal to say about our modern world. Whether you agree is another issue altogether. Seth was kind enough to answer a few questions about the book and writing in general, so without further ado, please give him a warm welcome. 1. To take on Dante must have been a daunting task, so what prompted you to modernize the tale? Do you have plans to modernize the entire Divine Comedy? It didn’t start out as a project of modernization, although it certainly was daunting at first. For a while, until I relaxed into it, I felt as if I were building a scale model of the Eiffel Tower out of toothpicks. The idea that got me going is a good example of the convoluted way my mind works. I had loved Dante’s work for decades, but, being neither a scholar nor a critic, I always found myself at something of a loss when I tried to explain to people what I saw in it. At last I realized that, as a poet, I could speak most comprehensively, vividly and precisely through poetry, and I also realized that the best way to describe what I saw in the Commedia was to place myself in the middle of it. “Modernization” was a consequence of that, but not a goal in itself. 2. Your training as an attorney must have been informed by your younger years as a poet, learning how to use an economy of words and to play with meaning in an effort to reap a desired result. What first drew you to poetry and later to the law? And have the two facets of your life ever conflicted on the page or elsewhere? Law shares with poetry an extreme sensitivity to the meanings of words and punctuation, and a strong concern with matters of form. Of course, “meaning” in law and “meaning” in poetry are two different concepts. As long as I can remember, I’ve written poems. What drew me to law is a longish story, but basically, after I graduated from college, law presented itself as an interesting and congenial way for me to use my natural abilities and proclivities in the cause of justice. I spent about a year and a half working as an investigator for a Public Defender in Vermont, and then went to law school. Law school itself turned me off, and although I graduated and passed the bar exam, I didn’t practice law for another eleven years, until I was given an opportunity to do an appellate argument and had great fun with it. I started working as a lawyer not long after that. My experiences working as an investigator and as a lawyer have fed my life as a poet, most conspicuously in the “thieves” and “fraudsters” sections of To Join the Lost. The only conflict, really, is that I have to work to make a living, and that takes time and energy away from my writing. 3. How much of your day job was modified and adapted to fit into To Join the Lost? A lot. Several sections of the book were drawn from my legal experiences and knowledge. Also, as a lawyer, I have evolved a habit of thinking syllogistically, which in turn has made it easier to relate to Dante, whose primary mode of discursive thought was through aristotelian logic. I need it to be quiet and still. In my house, my computer is in a small room lined with bookcases. The windows are too high to see out of. There’s an oriental rug on the floor and too much clutter on the horizontal surfaces, but it is a still and calming place. When I’m away from home, I use a spiral notebook and a pen and I can jot thoughts down just about anywhere, but for sustained effort I need the isolation and quiet. On the other hand, once I have settled into the right space – physical and psychological, and the work is flowing, my cat is welcome to come and sit on my lap. I type and she purrs, until she gets bored and goes away. I usually write in the evenings after dinner, or on weekend mornings. Sometimes I wake up in the middle of the night and can’t get back to sleep until I have jotted down whatever lines had popped into my head. About half the time, that “inspired” stuff turns out to be worth keeping,and half the time, it’s junk. 5. What one piece of advice did you receive early on as a writer that propelled you to keep going and who said it? This is a tough one! The temptation is to recall some bit of ego gratification I received, like when a beloved teacher told me,”You’re a poet.” But honestly, writing is just something I would have done anyway. I wasted a lot of years, time and energy going nowhere with it, however, due to substance abuse and other issues. The best piece of writing advice I ever got, the only one that has really made a difference, was so simple: write every day. I don’t remember where I first encountered it, or who said it in a way that finally sank home, and I don’t actually achieve it, but I actively aspire to it. Even if all I get is one line or phrase, even if I end up crossing that line or phrase out later, the discipline and constant attention to the work make all the difference. It took me years to understand this. Thanks, Seth, for answering my questions. I wish you much success with your poetry. To Join the Lost by Seth Steinzor is a modernization of Dante’s Inferno, and the irony that Dante takes a lawyer with him on his next visit should not be lost on readers. Seth infuses his epic poem with modern tools and vices from bulldozers to politics. Traveling the same path as Dante into the depths of Hell’s nine circles, Seth sees those trapped in between and those who have sinned in a multitude of ways. Yes, the poem references some events, many the most horrific in nature (i.e. the Holocaust), and yes, this may seem trite and unnecessary, but these are the moments that most of humanity knows either first hand or through study. These historic instances of unmitigated evil correlate to the references Dante makes from his historical knowledge, such as the reign of Julius Caesar and family wars that existed during that time. 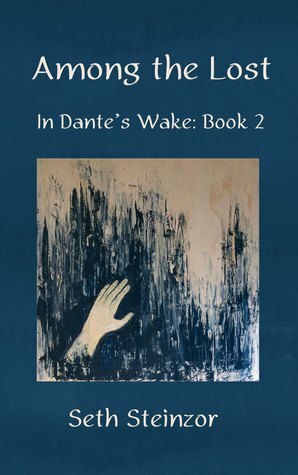 However, Dante relies heavily on mythology and religious text to craft each of his cantos, though there are references to his own love, Beatrice, within the poem. This is how Steinzor’s and Dante’s poems are similar. To Join the Lost by Seth Steinzor modernizes Dante’s Inferno in a way that is personal for the poet and tackles some of histories most evil moments and most controversial politically. Some readers will not enjoy the comments about a former president or other topics touched upon in this epic poem, but the gems in this epic are the more personal aspects of the piece. Seth Steinzor has been writing poetry nonstop since his teens. To Join the Lost is his first book. Visit his Website. Here’s a preview of one Canto. Please check out the other stops on the tour by clicking the TLC Book Tours image at the left. This is my 28th book for the Fearless Poetry Exploration Reading Challenge. This is my 65th book for the 2011 New Authors Reading Challenge. 1. 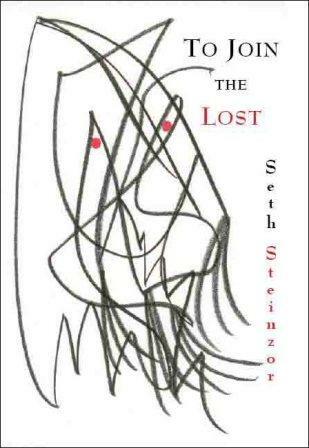 To Join the Lost by Seth Steinzor for a TLC Book Tour in November. 2. The Time in Between by Maria Duenas from Shelf Awareness. 3. Kill Me If You Can by James Patterson and Marshall Karp from my mother. 4. I Curse the River of Time by Per Petterson, which I won from Caribousmom during BBAW. 5. 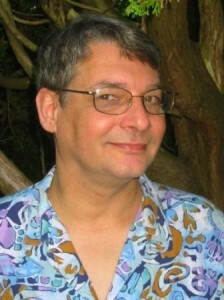 Tracks by Eric D. Goodman, which I received for review from the author. 6. Ladybug Girl Dresses Up! by David Soman and Jacky Davis, which I picked up from Penguin at the National Book Festival — first time books were given away for free. 8. Stagecoach Sal by Deborah Hopkinson, illustrated by Carson Ellis, which is signed by the author and given away to 100 attendees at the Penguin tent. 9. The Chameleon Couch by Yusef Komunyakaa, which I purchased at the National Book Festival and got signed by one of my favorite poets.